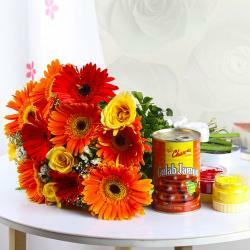 Product Consist : 15 Red Roses Bunch, 16 Pcs Ferrero Rocher Chocolate Box along with 2 Holi Colors. Enjoy the festival of Holi with lots of fun. May you be as colorful as the festival itself or even more for your receiver. A true and caring relation doesn't have to speak loud, a soft message with memorable gift is just enough to express the heartiest feelings. 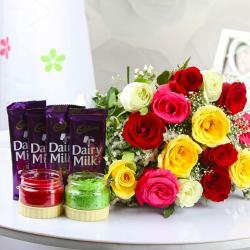 Here this Holi Colors with Roses and Ferrero Rocher Chocolate Box is specially arranged for Happy holi wishes . 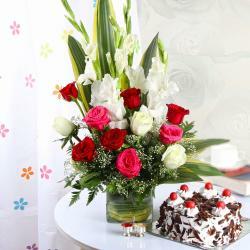 Flowers dont have to be reserved for Special Days any one can send the special wishes to your loved ones. Any flower would be the best option, Anything bright and colourful would be appropriate. So if you will send to your lovable person on the special occcasions than it is always advisable as a good idea. Colours are the most joyous part of the Holi celebrations. They add life and vitality to the festival making it most vibrant of all. This combo is presented as gift to any one like to your Girl friend or Boy friend, Cousins and to many more. Giftacrossindia.com brings to you this awesome holi items collection, which is all set to make your special someone feel more special. Browse your favorite products, it is very conveniently available for online shopping from anywhere in India with Free Shipping. 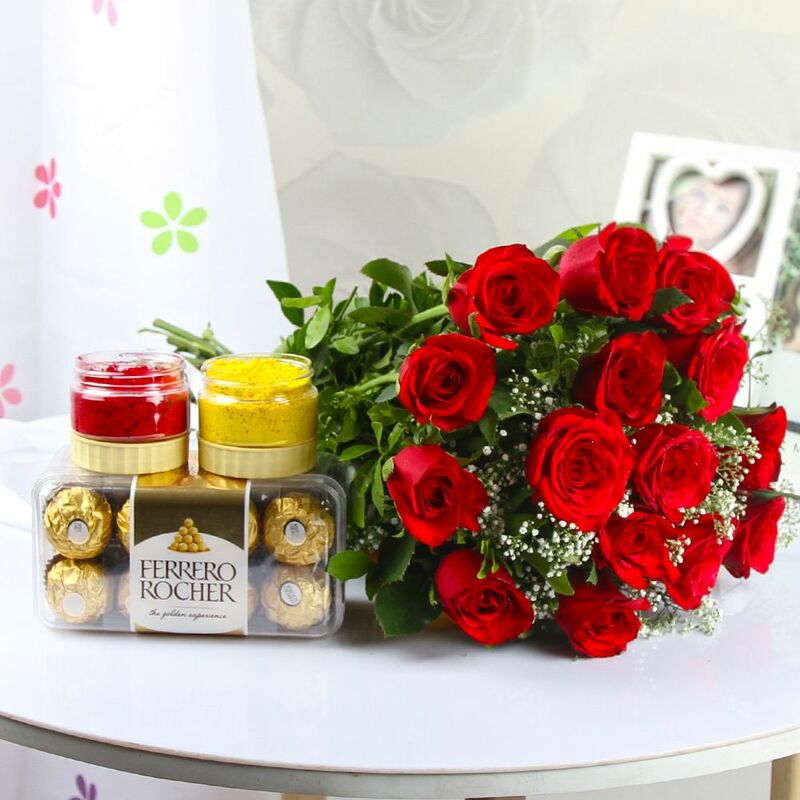 Product Includes : 15 Red Roses Bunch, 16 Pcs Ferrero Rocher Chocolate Box along with 2 Holi Colors.